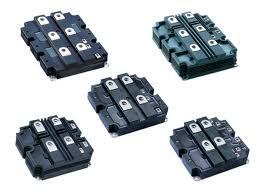 ABB Semiconductors manufacturers a range of high-power IGBT modules. The current production product line includes the HiPak series that incorporate a single IGBT switch with a freewheeling diode. The HiPak series is offered in a range from 1.7KV and 800A-3600A to 6.5KV and 400A to 750A. This product line is ideally suited to applications where a combination of rugged design and soft-switching performance are requirement. Common ABB IGBT modules that are now obsolete but which have a large installed base are the PP-series modules, such as PP07512HS(ABBN)5A, PP10012HS(ABBN)5A, PP12017HS(ABBF)6A, PP15012HS(ABBN)5A, PP18017HS(ABBL)6A, PP20012HS(ABBN)5A and PP30012HS(ABBN)5A. ABB IGBT Modules are often required in small volumes to support repair and replacement for existing installations. Maintaining an ongoing source of supply for these repair operations is vitally important. Procure International offers both current production and obsolete IGBT Modules from ABB Semiconductors at very competitive prices and short lead times. Search for the ABB IGBT Modules you need using the Part Number Search bar at the top of this page, submit your RFQ to get pricing, and place your order directly online using our secure online ordering process.